Just in time for holidays, we’re excited to announce that our Winner Circle calendar of competitions, book festivals, writers conferences and retreats has been overhauled to make your hunting happier! First, we’ve broken out the competitions into its own platform. Now using a table vs. a calendar, you can more easily find the right competitions for you. 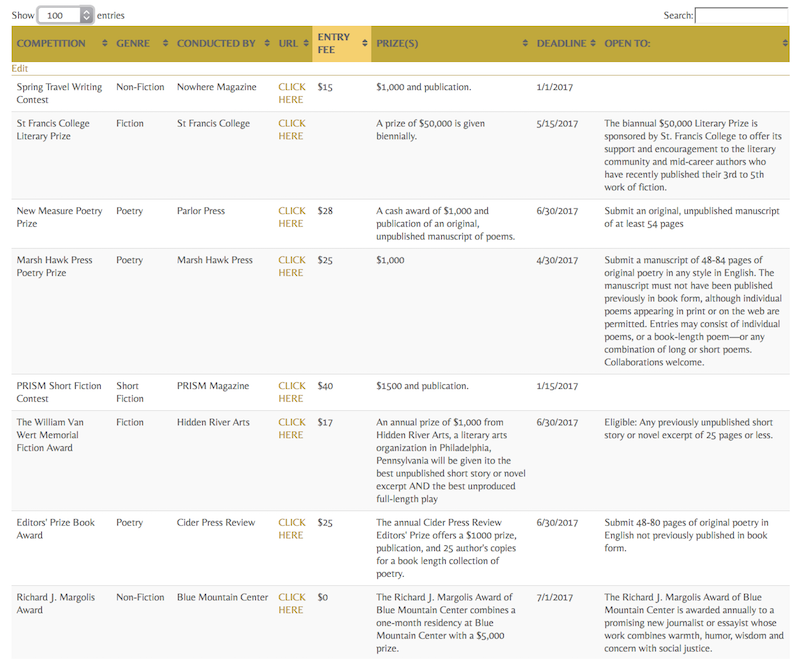 Using the gold navigation bar at the top of the table, you can sort by any of the competition data columns, including genre, entry fees, deadlines and more. Each “Click Here” will bring you to the particular competition site’s submission policy page. 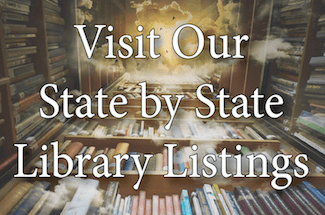 To narrow down the field to include contests of most value to authors, we’ve distilled the listings to include contests with entry fees of $0 – $75, and minimum prizes of $500. At 118 and counting, there’s bound to be a writing or book competition with your name on it! 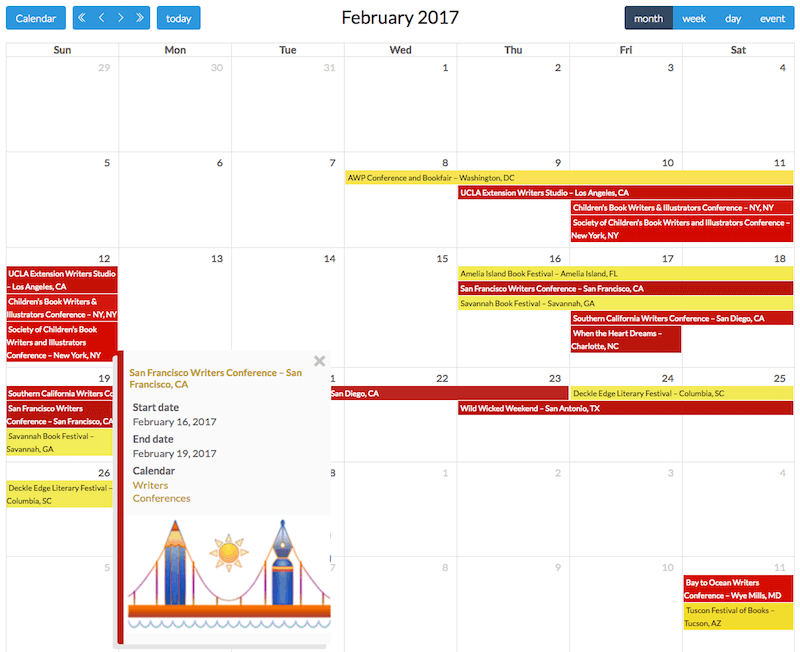 Our new event calendar offers color-coded events (book festivals are yellow, writers conferences are red, writers retreats are purple). And, when you click on any calendar entry you’ll get an expanded entry box with links to more info. You can view by month, week, day or event list, and even export events to your iCal. Over 125 events have been added already, with dozens more to add as event organizers announced their 2017 dates! Celebrate with Our Gift to You! 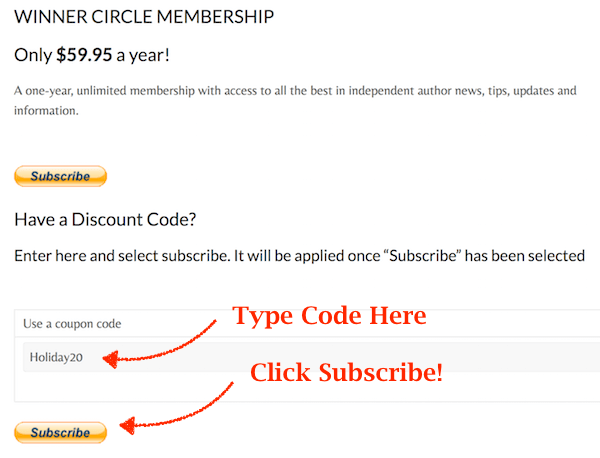 Of course the Winner Circle still offers savvy authors plenty more, including hundreds of vetted reviewers by genre, over 400 live book clubs, templates, tutorials, free online tools and more. And to celebrate the holidays and our event makeovers, we’re offering $20 off your annual subscription! Normally $59.95 (already a bargain at under $5 a month), the special discount makes your price just $39.95. Less than $3.35 a month to keep you dialed into influencers who can make a difference in your book sales. To get the special price CLICK HERE or on the diagram here, enter the promo code “Holiday20” and click the “Subscribe” button below. ← Are Book Signings Too Old Fashioned?